Fingerprint is a musical tour of the world through the strings of Jay Kauffman’s guitar. It is a refreshingly original collection of music inspired by folk and popular idioms from around the globe. It features some of his most popular, published works, including Variations on a Mongolian Folk Song, Samba di Locomoco, and the Spooky Blues, as well as music ranging from Venezuela to Spain to Japan and Turkey. 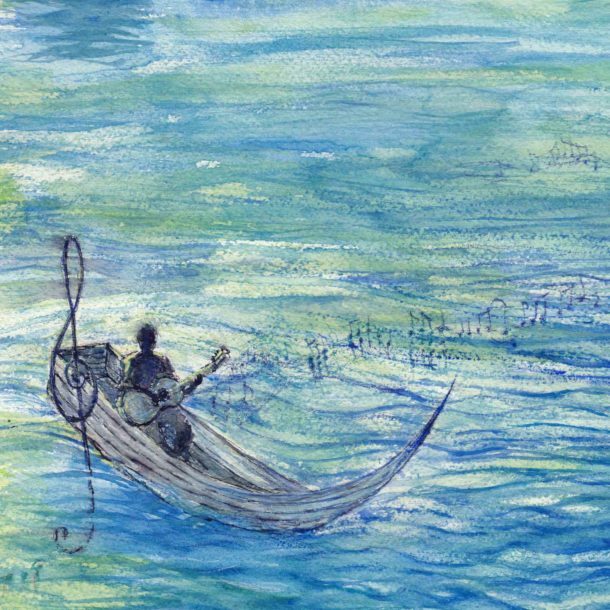 Fingerprint is a musical tour of the world through the strings of Jay Kauffman’s guitar. It is a refreshingly original collection of music inspired by folk and popular idioms from around the globe. It features some of his most popular, published works. In addition to the Cd, this purchase includes a .zip file containing high quality mp3 versions of each track, annotated and bundled with the cover artwork so that it appears on Itunes+ the Ipod, and Iphone. 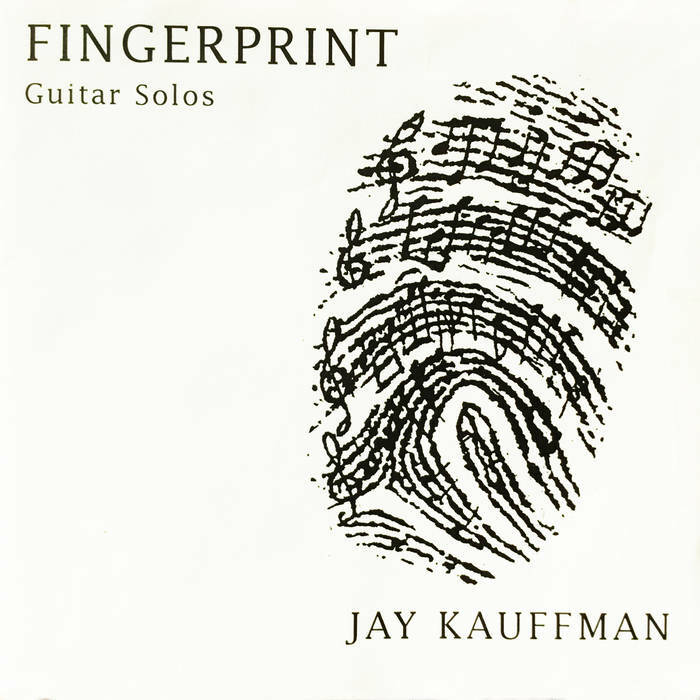 Fingerprint is a musical tour of the world through the strings of Jay Kauffman’s guitar. It is a refreshingly original collection of music inspired by folk and popular idioms from around the globe. It features some of his most popular, published works. This purchase includes a .zip file containing high quality mp3 versions of each track, annotated and bundled with the cover artwork so that it appears on Itunes+ the Ipod, and Iphone. The guitar is a widely traveled and linguistically gifted instrument. Like a musical chameleon, it adapts without self consciousness to almost any musical landscape. Some of the pieces on this recording are familiar territory for the instrument—in fact, the Latin American, Blues, and Spanish genres have evolved largely on the guitar. The other pieces on this album stake out newer territory. They are mostly inspired by other stringed instruments and the music which they play. These include the Koto from Japan, the Oud as it is used in Turkish music, and several instruments common in Mongolia—-the Shudraga, a banjo like instrument, and the Yatga, a gut string harp. In trying to imitate, or at least invoke some feeling of these wonderful instruments, something new and beautiful is created. Seis por Derecho is party music from Venezuela. Its composer, Antonio Lauro, also wrote many beautiful waltzes for guitar. This particular dance imitates the sounds of the Venezuelan harp. Isaac Albeniz, composer of Tango and Cadiz, was a Spanish pianist at the turn of the century. These days guitarists play his music more often than do pianists. We like to believe that it originated on some incredible “inner guitar de Albeniz”—that he only wrote for the piano because of the perceived technical limitations of the guitar at that time. Threnody begins as a plaintive dirge, moves through stages of wistful mourning and almost violent denial, is lifted occasionally by happy memories, and ends with a quiet farewell.. Stylistically, it is a hodgepodge of influences bound together somewhat by a common theme and mood. Samba di Locomoco is inspired by the popular Brazilian syncopated bossa nova-related dance form.. In this piece, “the little engine that could” discovers it “can” soon after doing a little soul-searching in the Blues-tinged intro. The Juicy Fruit Shuffle speaks for itself. I refuse to apologize for the title, even though I am tempted. The Spooky Blues is a theme song looking for a vampire comedy to accompany. I wrote it around Halloween time several years ago. Variations on a Mongolian Folk Song is a composite portrait of my musical experiences in Mongolia. In 1995 I played a few concerts there, and got to jam with some of the local musicians. I make no claims of authenticity in this piece—I simply arranged two tunes that I learned, and tried to make them into something that communicates the freshness and energy of their amazing music. 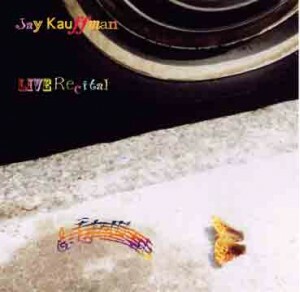 The introduction is based on a popular love song, and the “variations” are based on a song which is about a man and his horse. The sound of galloping can be heard throughout the piece and is present in much of their music. Sakura is an instantly recognizable folk song from Japan. This tasteful and meditative arrangement was created by the Japanese guitarist-composer, Yuquijiro Yocoh. Koyunbaba was inspired by the beauty of a brook in Southern Turkey. Carlo Domeniconi, also a guitarist composer, lived in that country and studied its music. Because of the improvisatory nature of this strikingly beautiful and emotional piece, I have taken the liberty of adding my own improvisations—based mostly on his themes and ideas—towards the end of the last section and in a few other spots throughout the piece.